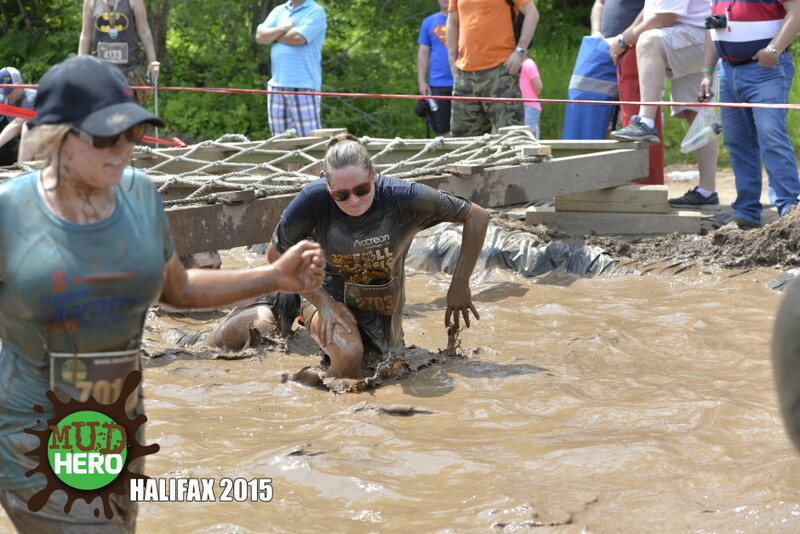 Mud Hero 2015 Halifax Race recap. 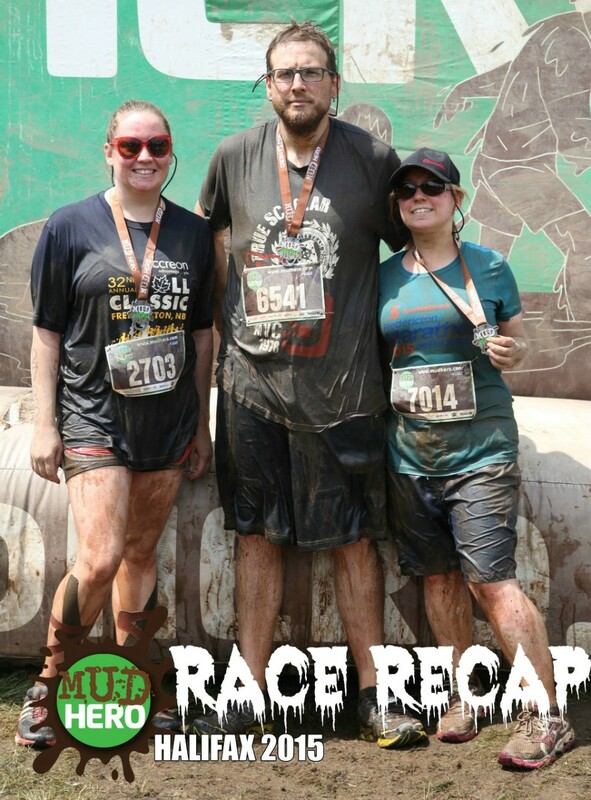 Mud Hero 2015 Race Recap! 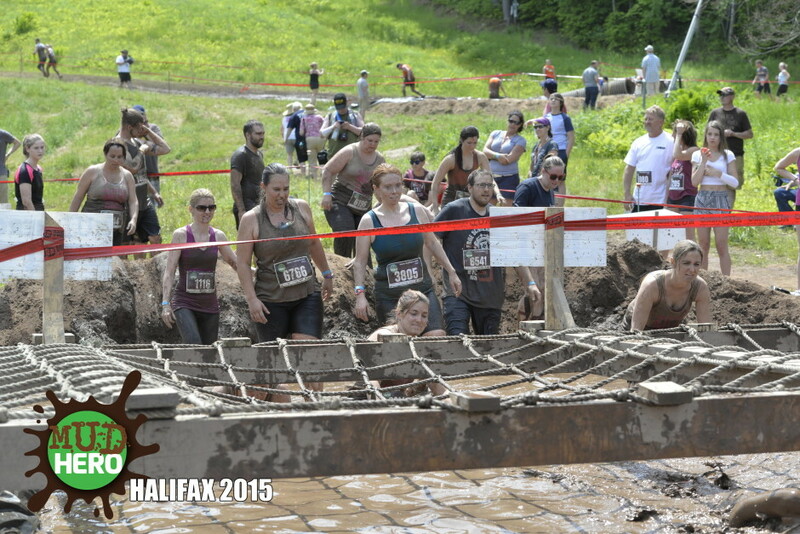 On Saturday July 4th we ran Mud Hero 2015 in Nova Scotia… And it was AMAZING! I ran it with my sister Becky and her boyfriend Tim. We all agreed that it was the most fun we have ever had at a race! First off, this race was the most organized race I have ever been to. The tents for race kit pickup was split up by last name so it was super quick and efficient. Even though there were tons of people and lots of different start times there were no lines! The volunteers did an excellent job. I was so nervous. While we were standing at the start line and counting down the minutes my heart was beating so fast, like I had already ran 2 miles! Once the race started my heart rate calmed down… But not before the first kilometre! As soon as we started it was straight up a steep hill! We couldn’t ‘run’ it though… Due to all the people starting out, there was a lot of congestion! Man, races sure do produce a lot of adrenaline! The first obstacle was a Cargo Climb. It is basically a HUGE rope ladder that’s about 15 feet high. I am afraid of heights but the adrenaline took over and I scrambled up the ropes like a pro! First obstacle complete = fist bumps for everyone! Who knew getting so muddy would be so much fun? 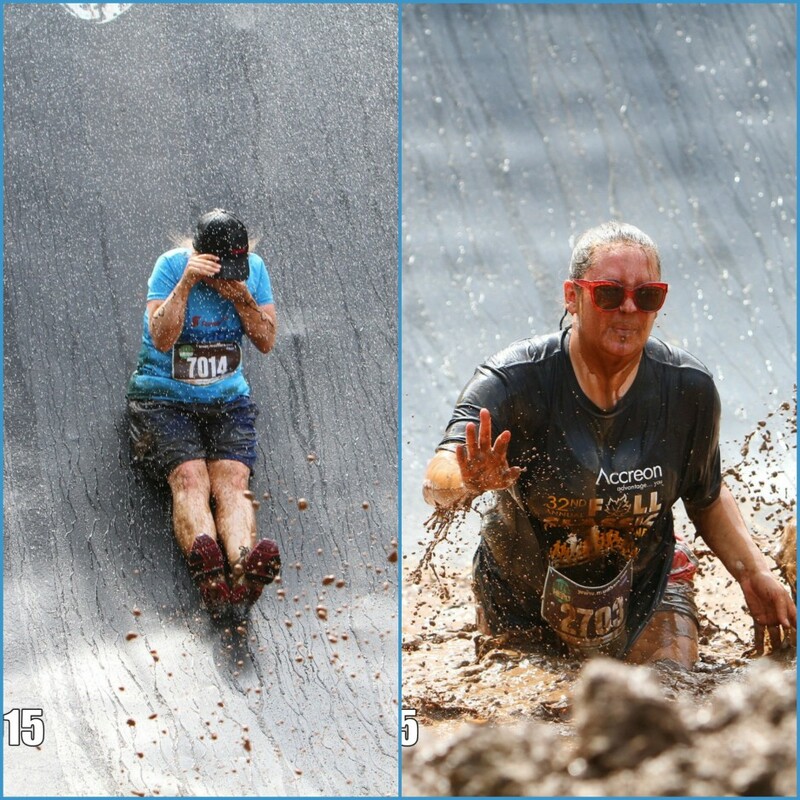 Sliding right into a pool of mud where you can’t help but go completely under water – SO FUN! There was also this one mud pit we had to walk through and there were huge boulders and tree trunks you had to get passed, but there was no way to see them! You had to feel ’em out with your feet and take it slow – or fall! Tim and I in the corner of the pit. Plus – pictures taken at the event can be downloaded for FREE! I can’t wait to do it again next year, we had SO much fun! Look at us – super happy! It was great to see people of all athletic abilities at the run. If you weren’t able to do an obstacle you could skip it – with no penalties. I created a 30 day Mud Hero challenge for myself that I did before the race to help myself prepare! 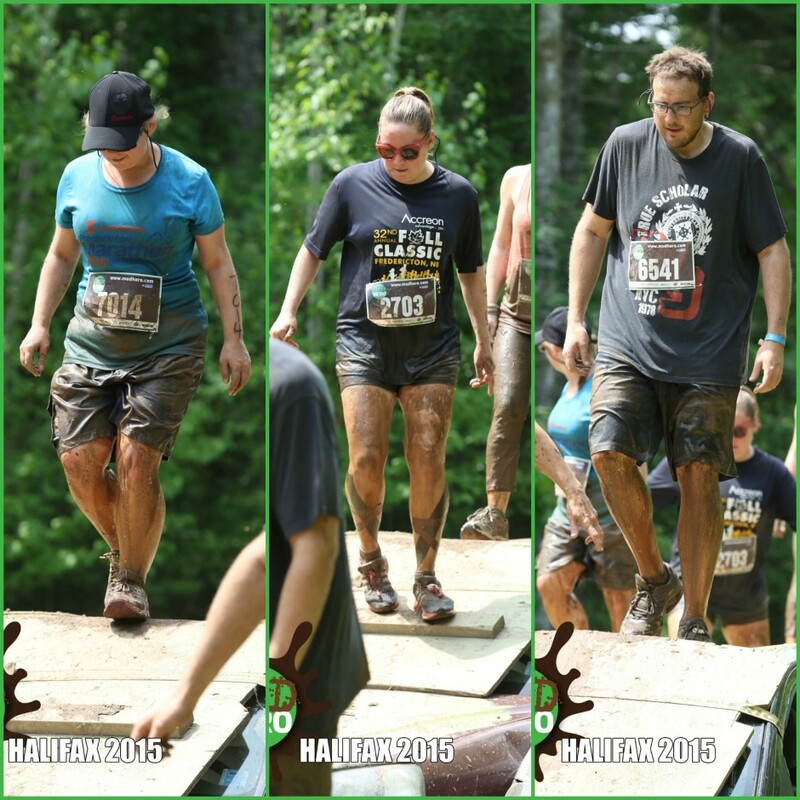 I want to say a HUGE thank you to Mud Hero for giving my team and I tickets to attend MudHero. We can’t wait to do it again! It was SO much fun! Make sure to check out the website and check out the events they have throughout Canada! Wow! This looks like so much fun and the photos are awesome too! Pingback: A Fitness Buff's Wishlist! Pingback: This changing towel and seat cover is so convenient!